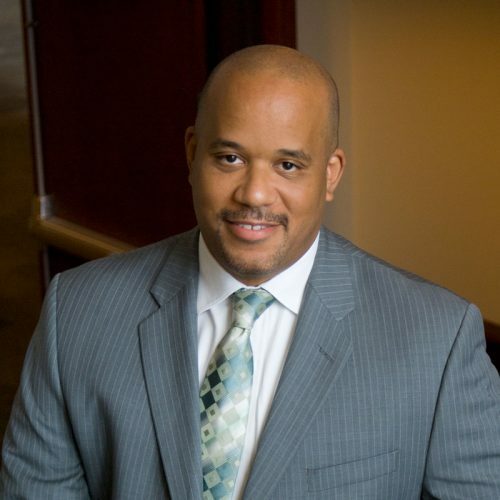 Russell McClain, associate professor and associate dean at the University of Maryland Francis King Carey School of Law, is a nationally recognized expert on the effects of implicit bias and stereotype threat in education. McClain graduated with honors from Carey Law in 1995 and began teaching there in 2006. He directs the academic support program and is the associate dean for diversity and inclusion. He also is a member of the University of Maryland, Baltimore’s Diversity Advisory Council and is president of the Association of Academic Support Educators. McClain’s scholarship explores whether implicit bias and stereotype threat converge to suppress the academic performance of minority groups, especially in higher education. He has made dozens of presentations and conducted numerous workshops for educational institutions, firms, judges, and professional groups.